1,2,3...Akita! provides faith-based summer fun and an outdoor adventure for children entering 1st, 2nd, or 3rd grades. Campers spend the first two days in Columbus exploring ideas about God through play, song, activites, and craft. On the third day, campers will travel to Camp Akita by bus for a day of hiking, swimming, crafts, and games led by Camp Akita counselors. Register for 1, 2, 3...Akita! This is our first overnight experience for campers at Akita! 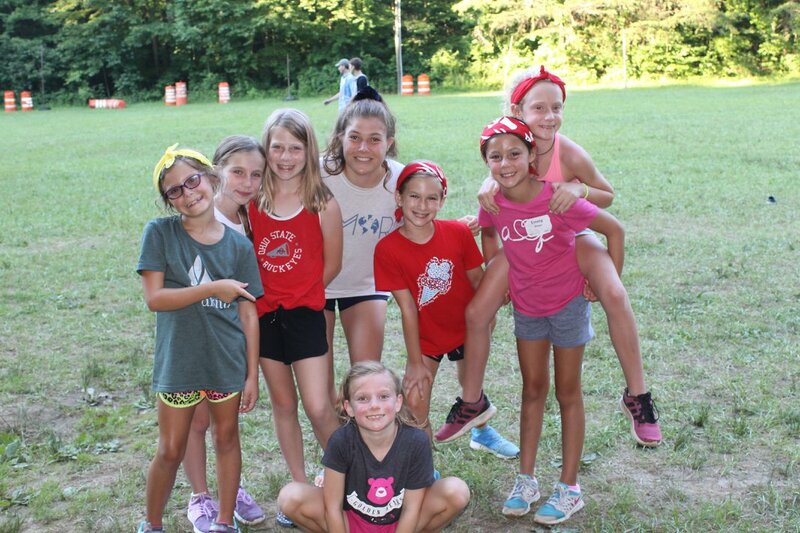 We will show children the sheer joy of games at the far field, as well as an introduction into what Camp Akita has to offer, including arts and crafts, slip 'n slides, singing camp songs, and other faith-based activities that will help nurture their faith development. This experience is designed to give our youngest overnight campers the chance to have the time of their lives, make friendships that will last for years to come, and help them fall in love with camp — all while gaining confidence away from home.